Hi everyone! I've been wanting to do a review of the Trind Perfect Cuticle and Nail Kit for ages and after completely wrecking my nails a few weeks ago, I had a really good before picture. Or rather, a not-so-good before picture that would serve as a good before picture. I first started using the Trind Perfect Cuticle and Nail Kit after having my gel nails removed back in January. They were thin, brittle, and just entirely gross after, but I really feel as though Trind helped them grow out faster (and thus, growing out that unsightly ridge from where they'd once ended) and make them stronger. I'd show you mine, but the bottles only have 1/3 left in them and the labels are pretty much worn off. Instead, I will show you the before and after... under the cut! As far as use goes, the Trind kit is very easy and I always use it about a half an hour before bed. As per the instructions, I apply the cuticle balsam, followed by the nail balsam, and then the nail repair to seal it all in. The before photo was taken on November 23rd. The after was taken on December 5th. 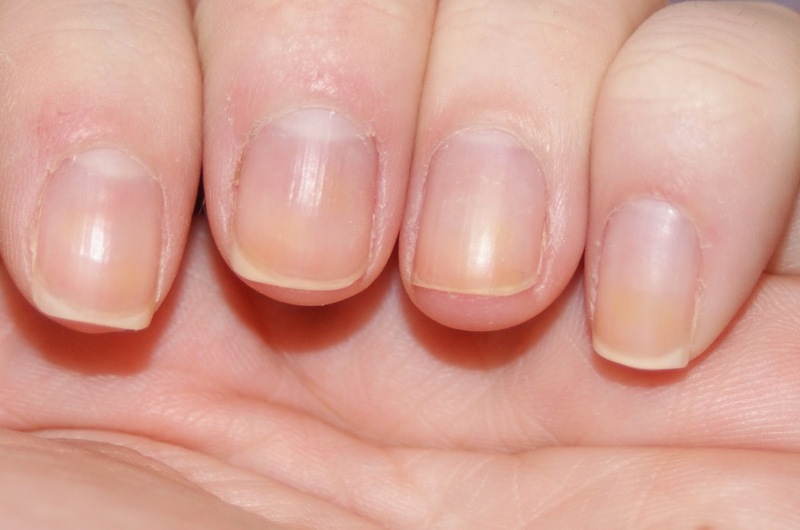 You can see my nails are yellow (the result of polish-staining) and my cuticles are ragged. Also, they broke to a point where they're completely uneven and just generally, shudder-inducing. My nails are long and no longer yellow. Plus, my cuticles are nice and smooth again! I filed them a minimal amount just to shape, so they were a little bit longer prior to this photo! 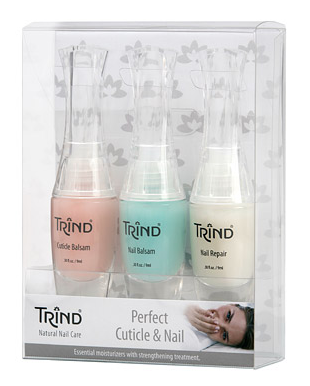 The Trind Perfect Cuticle and Nail Kit is available in stores and online, including SkinStore.com for $50. At SkinStore.com, you can get 20% off through December 15th with the code FF20. I know that $50 is a little steep, but one kit has lasted me nearly a year and I still have enough to last me a few more month, at the very least. What do you think of the end result? Are you in need of some Trind care?